LARGE GEOSPHERE: £300. 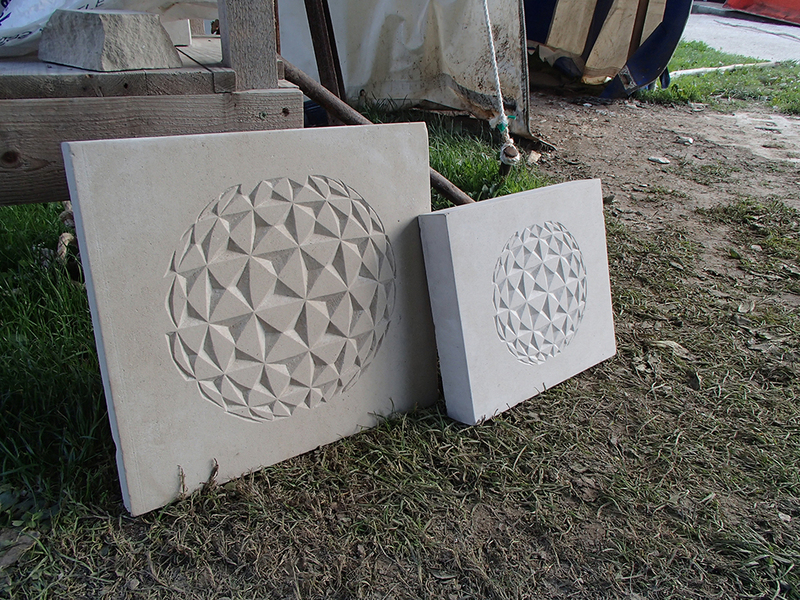 Larger stone itself is 460mm x 460mm x 40mm. The actual Geosphere is 360mm x 340mm. SMALL GEOSPHERE: Was £200, now sold. 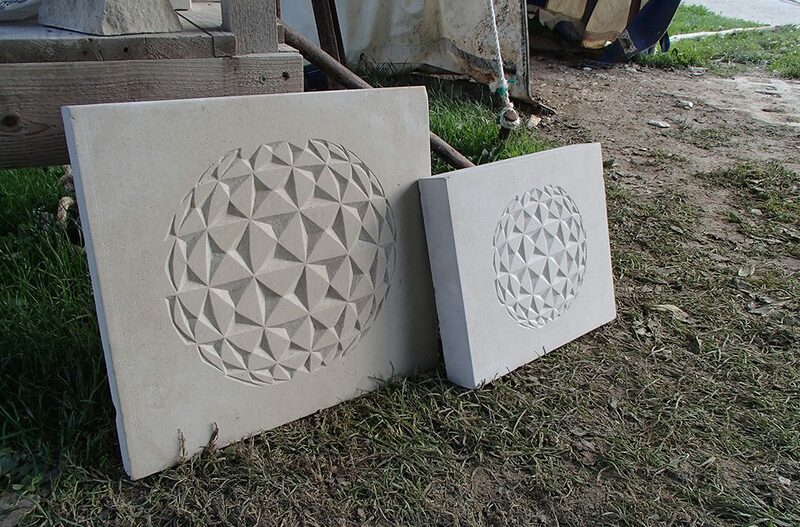 Smaller stone itself is 400mm x 365mm x 30mm. The actual Geosphere is 270mm x 260mm. Other sizes are available to commission. 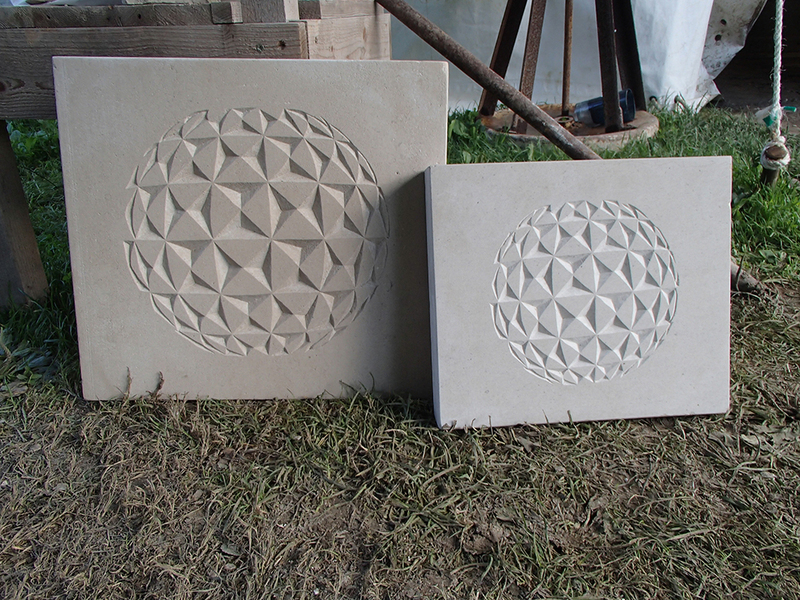 Smaller geosphere SOLD, but orders taken on request.